Electronic Arts was founded in 1982, as both a developer and publisher of software titles. 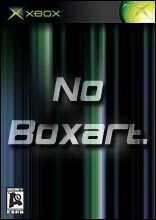 Electronic Arts currently develops and publishes for the PC, PlayStation, Playstation 2 and Nintendo 64 platforms. Past chart-toppers include NHL 2001, NBA Live 2001, FIFA 2001, The Sims, GoldenEye and Need For Speed. EA Sports and EA Games are both wholly owned by Electronic Arts. Returning as James Bond is Pierce Brosnan, who will lend his cyberscanned likeness and voice to the character. The rest of the cast will include new Bond girls (Shannon Elizabeth and Heidi Klum) as well as old and new Bond villains. The original scri..
NightFire will feature an original single player storyline -- written exclusively for the game and borrowing from the rich 007-legacy that spans 40 years. As Bond, players will operate in the snow capped Austrian Alps and the far reaches of outer spa..
On a cold, distant planet, the war against extinction is on and your command skills will determine the outcome. 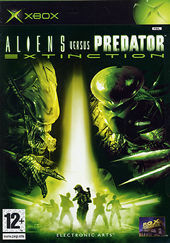 For the first time ever on next generation consoles, control an Alien hive, direct a Predator clan, or lead an elite squad of Colonial Mar..
Gamers will control Catwoman as they play the movie, utilizing her unique catlike skills, senses and cunning to defeat her enemies. Boasting incredible acrobatic skills, Catwoman can leap across roofs, run up walls, pounce on prey, utilize inimitable..
As an aspiring 00 agent dismissed from MI6 for reckless brutality, the player is hired as an enforcer by Auric Goldfinger, the wealthy super-villain with a lust for all things gold. Goldfinger is locked in a ruthless war against his archenemy, the br..
Be Harry Potter in a new adventure with more magic, friendship and danger. Learn new spells, undertake new quests, make new friends and challenge new adversaries to confront the powers at the heart of the Chamber of Secrets. Do you dare take the chan.. In Harry Potter and the Prisoner of Azkaban videogame, Harry Potter fans will experience the magic and peril of Harry's third year at Hogwarts. For the first time gamers will play as friends Ron Weasley and Hermione Granger as well as Harry Potter, s.. 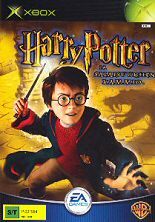 The Harry Potter and the Sorcererâ€™s Stone next generation console games not only use story elements from the first book and film, but also include content exclusive to these versions of the game. This brand-new Harry Potter experience includes new ..
Take to the air in the first game that allows players to fully experience the magical speed, power, and competition of Quidditch, the favorite sport of witches and wizards, in the Harry Potter: Quidditch World Cup game. For the first time, gamers wil..
James Bond is one of the most notorious celebrities in the industry these days. His name appears on clothing, mugs, movies, and thanks to ever evolving technology, James Bond now stars in his very own video games. Just a few years ago, 007 made his f..
What would James Bond do? 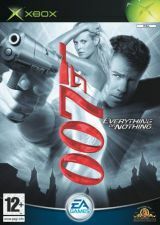 That is the question you will answer in every dramatic moment of James Bond 007: Everything or Nothing. The worlds greatest secret agent returns in his fifth interactive adventure from EA GAMES, and the action has never been..
Lord of the Rings, The Third Age videogame allows players to adventure through Middle-earth, building a party of heroes as they journey. Players battle on the side of the Fellowship, but can unlock additional encounters where they fight on the side o..
EAâ€™s first The Lord of the Rings action/adventure game will take players through the roles of the key action heroes from New Line Cinemaâ€™s epic film trilogy. As Aragorn, Gimli and Legolas, players will battle Orcs and memorable movie monsters, wi..
One Ring to bring them all and in the darkness bind them. Based on New Line Cinema's upcoming film adaptation of J.R.R. Tolkien s classic fantasy novel, The Lord of the Rings, The Return of the King video game will once again put the fate of Middle-e..
For the first time in 10 years, the Madden NFL Football franchise has revolutionized its passing gameâ€”giving Madden NFL 06 the most groundbreaking and innovative offensive arsenal ever created. The new QB Vision Control lets you scan the field, loo.. Step up to the plate and swing for the fences with Triple Play 2002 for the Xbox. The action on the field comes to life with real player models and dramatic out-of-play sequences, giving players the chance to experience big game moments such as a gam..
A compilation of the popular PC series including Vietcong and the expansion pack, Vietcong: Fist Alpha. The original game features 20 missions, 20 weapons, and the ability to play as either the US or ..